You have already allocated a category and extended code along with other information, such as the description, quantity and amount, to the record of the invoice. When the bank transaction is entered, either through a bank feed, imported from the bank website, or manually entered, you have the opportunity to match it to the corresponding invoice. By matching the transaction, it inherits all of the information that is attached to the invoice, whether it is made up of a single line or has been broken down into multiple lines . It also moves both the invoice and transaction from the Needs Action screen to Completed. You will need to allocate a category and extended code before the transaction can move into the completed area. Open the transaction and click on the Code button. Allocate a category and extended code. Enter a Description and/or Qty (optional). Enter the Line amount. You can choose between GST Excl or GST Incl, depending on how this appears on your invoice or statement. 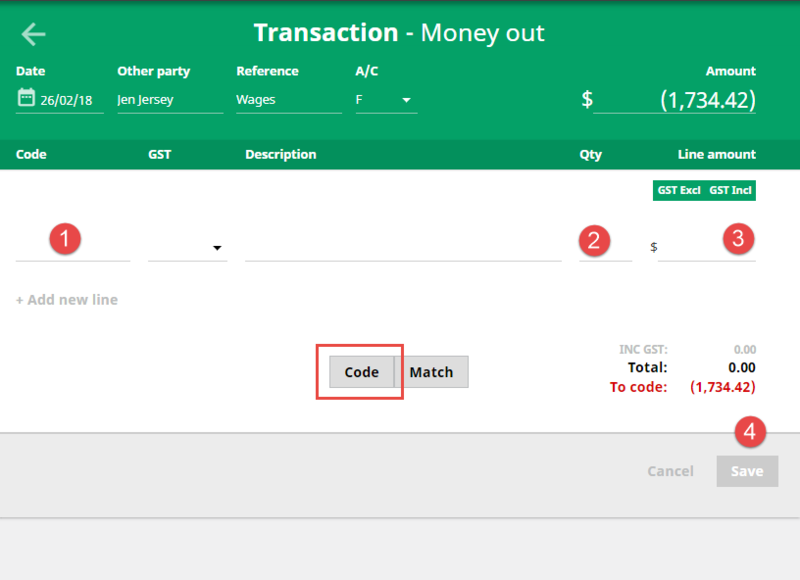 If you want to split the transaction into multiple codes and amounts, click on the Add new line button to create a new line. 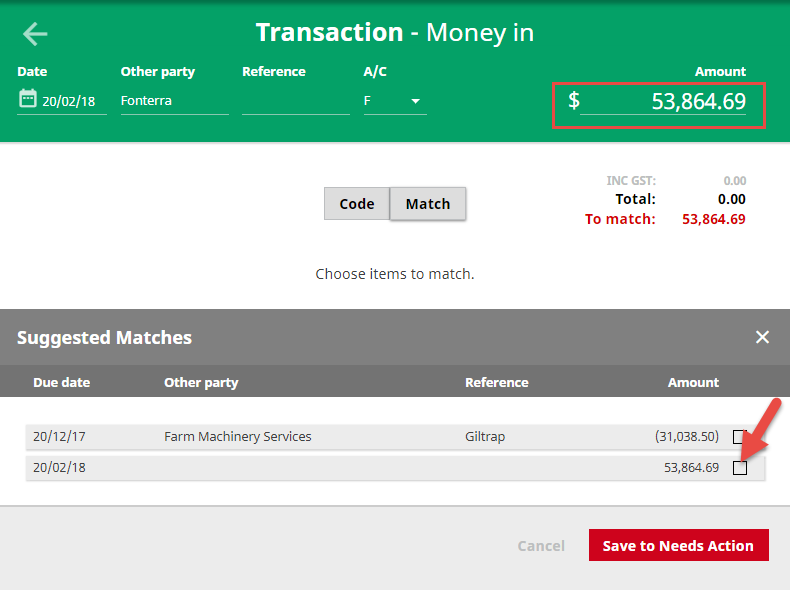 TIP: The Qty field is optional unless you’re recording livestock or milk income transactions. Continue to code the transaction until it balances back to the banked amount. Once a bank transaction has been coded or matched to an invoice, it is considered reconciled and moved into the Completed area.